Layers of auto traffic rush towards Shibuya station. 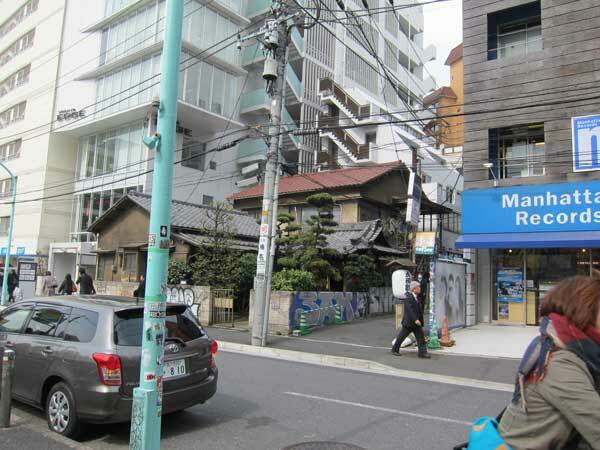 Has any global city maintained its aging urban auto infrastructure as thoroughly as Tokyo? Planning wise, Tokyo today can feel like it’s reliving the 1960s, as if nothing has changed in terms of mobility, urban design, and creating maximum value in dense cities. Early cherry blossoms across parking lot in Shibuya. Showa house and mature tree dwarfed by newer buildings. 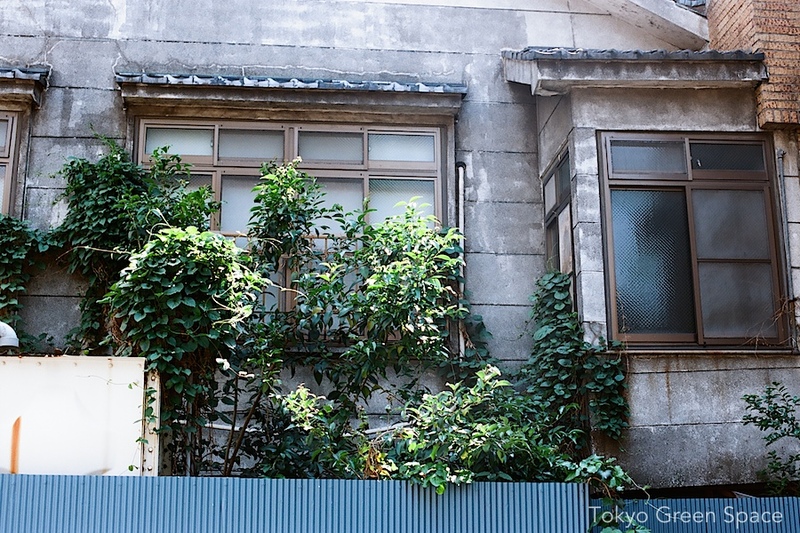 Because of this parking lot, the result of another building torn down, you can see into the back garden of a Showa house in Shibuya, not far from NHK’s headquarters. The two story house is the last remnant of the older neighborhood that was replaced starting in the 1970s with taller, mixed use buildings. I’m glad this early blooming cherry tree has survived until now. It was a pleasant surprise after a Barbados lunch with @a_small_lab and @jessmantell. In Shibuya’s Mitake park, four men are pruning the trees. They are using a tall ladder and also a cherry picker. I appreciate skilled labor. Rainy season propels city weeds, and signals the start of our jungle-like summer. Dandelion and dokudami, Shibuya. Related: see previous post about dokudami weed, and reader comments about edible versions in Vietnam. I have seen some lovely roses walking in Tokyo recently. The red one above is from the border between Sakuragaoka 桜丘町 and Uguisudani 鶯谷町, a leafy upscale neighborhood ten minutes from the world famous Shibuya pedestrian crossing (called scramble, スクランブル in Japanese). I like how this red rose has escaped a private garden and is now attaching itself to the street mirror meant to prevent collisions. 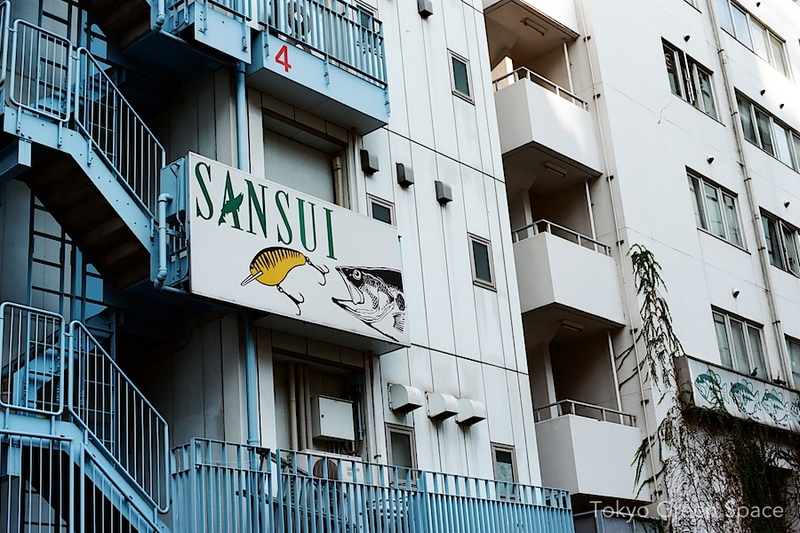 The yellow rose is from a house in Nakano, near a pedestrian walkway built on an old creek. I wish all roses had fragrance, but whenever you see roses, it is hard not to feel cheerful.